Yes-I realize today's "project" might be the laziest thing you've ever seen but you see...I gots the tonsillitis and, well, Pinterest projects and blogging (shoot...doing anything actually) for someone who currently has baseball sized tonsils...shooooot....ain't nobody got time for dat. I did, however, do this legit leg workout the night before I got sick so technically I saw it, pinned it and did it. Not to mention, I ran a mile and a half AND lifted weights. BAM. I liked this one because it wasn't insanely difficult...ahem...like the 99 Workout...but I could definitely feel the burn. It could easily be done 2-3 times to equate to a full workout. 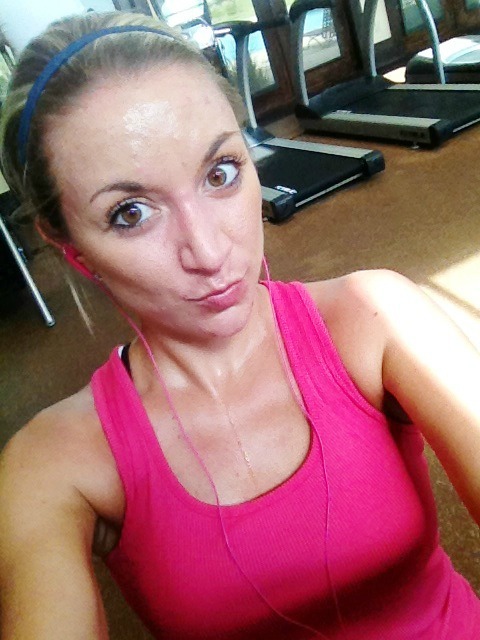 Sweat running down mah chest...always a sign of an excellent workout.